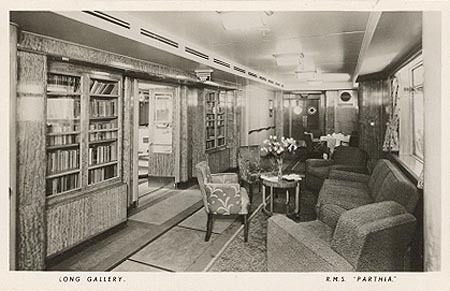 This page is one of a series devoted to postcards and photographs of the Cunard Line. 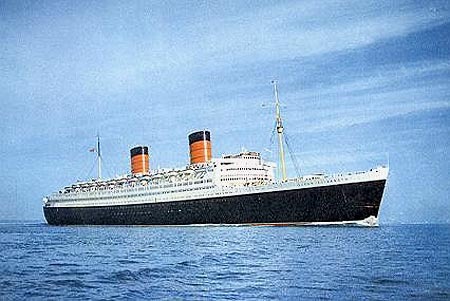 This page covers the post war Cunard Line fleet of ocean liners. Purpose built cruise ships are covered on this link. There is a table of individual ship histories on this page below. 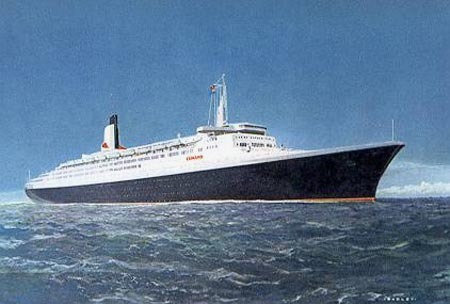 Cunard - Page 4 - Ocean Liners 1940-1970 - this page! 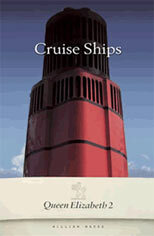 Southampton-Cherbourg-New York service, plus cruises from New York. 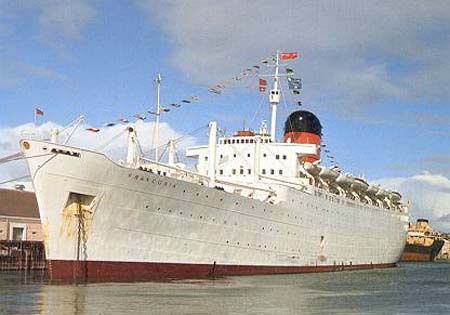 There is a complete history of this ship on this link. 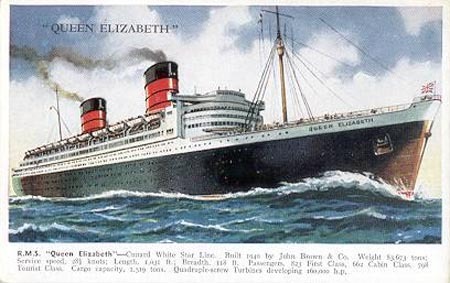 A Cunard Line official card of Queen Elizabeth (serial number B.79). 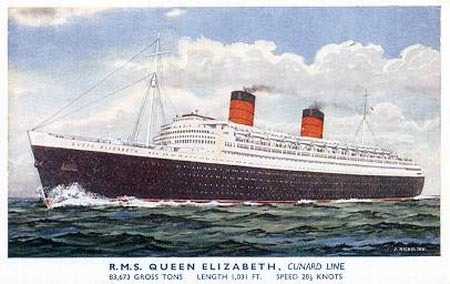 A Cunard Line official card of Queen Elizabeth (serial number B.2084). A Valentine's postcard of Queen Elizabeth (serial number 1791). 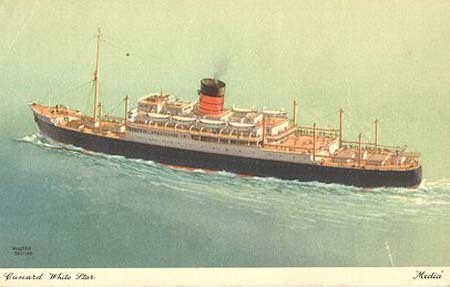 A J.Salmon postcard of Queen Elizabeth (serial number 5305). 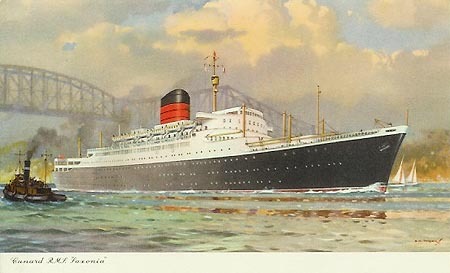 A J.Arthur Dixon postcard of Queen Elizabeth (serial number SS.103). 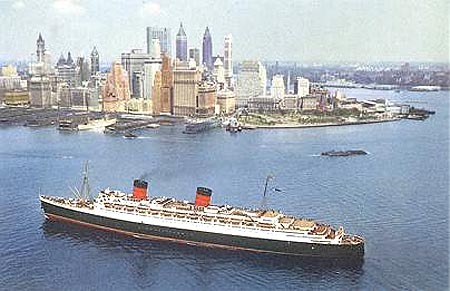 The Cunard cargo-passenger liner Media was built in 1947. 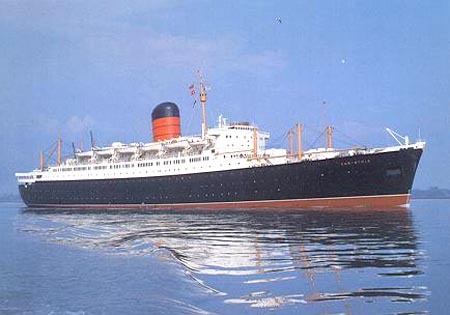 She was sold to Cogedar Line in 1961 and rebuilt as the Europe-Australia emigrant ship Flavia. 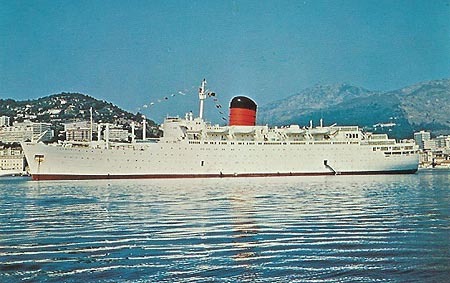 In 1968 she was chartered to Costa Line, who refitted her as a cruise ship. 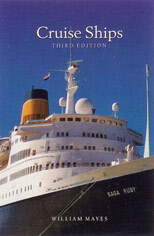 She operated Caribbean cruises from Miami, and was so successful, Costa bought her in 1969. 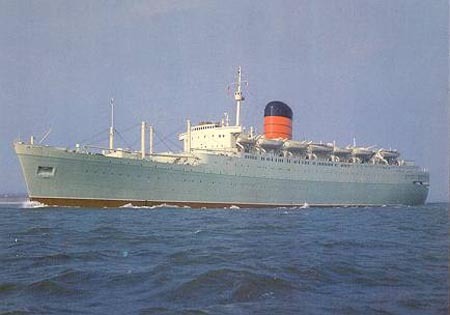 Her engines became troublesome, so she was sold in 1982, having various owners and names until being scrapped in 1989, having never actually entered service again since leaving Costa. 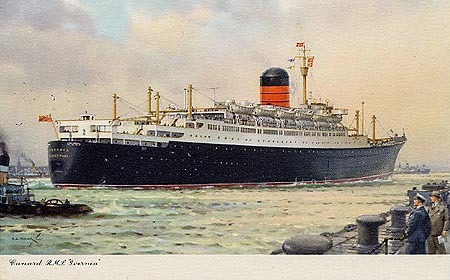 This is an early official Cunard card of Media, with only partially closed promenade deck (also issued as Parthia). 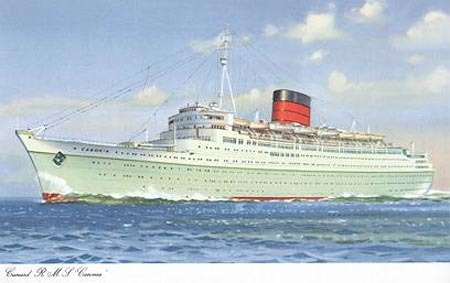 A later official Cunard card of Media, with fully glazed promenade deck (also issued as Parthia). 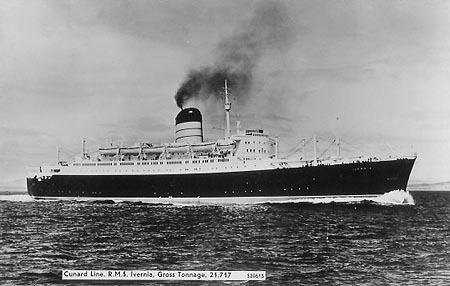 The Cunard cargo-passenger liner Parthia of 1947 was a sister of Media. They were used on intermediate Liverpool-New York or Canada services. 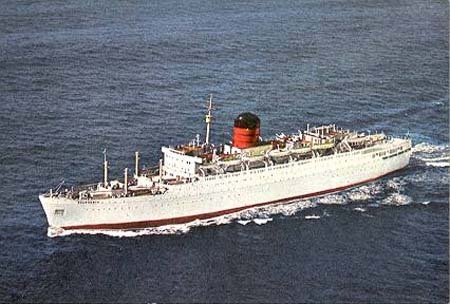 The sisters were uneconomic and were sold in 1961, Parthia going to the P&O Group company New Zealand Shiping Co, renamed Remuera. 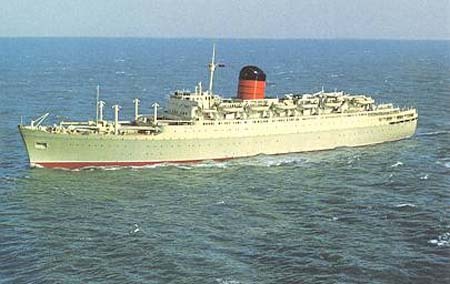 She re-entered service in June 1962 following rebuilding of upperworks aft. 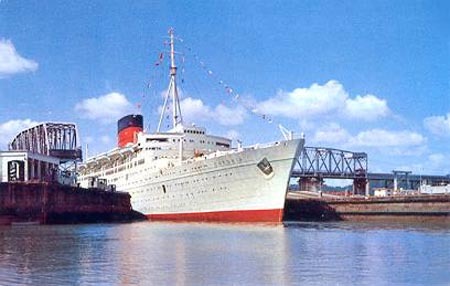 In 1965 she was transferred within P&O to the Eastern & Australian SS Co for their Hong Kong-Melbourne service. Renamed Aramac. She was broken up in 1969. 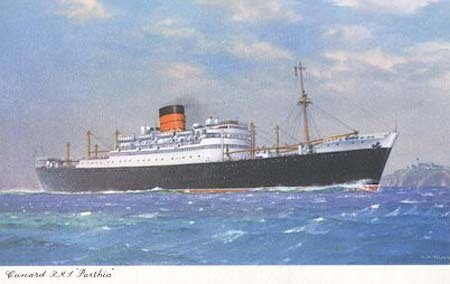 This an official Cunard card of Parthia (also issued as Media). 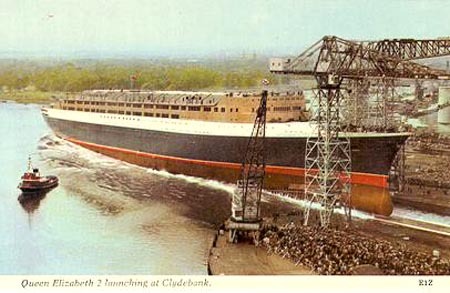 This an official Cunard card of the Long Gallery on Parthia. 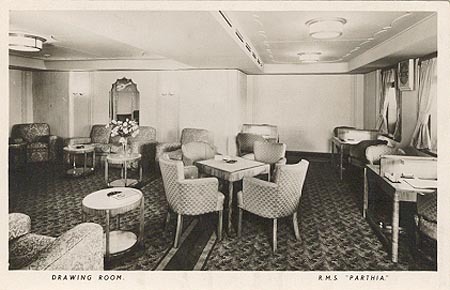 This an official Cunard card of the Drawing Room on Parthia. 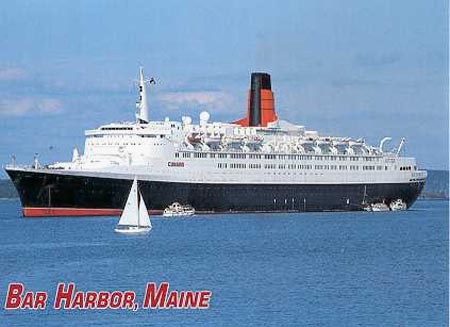 Southampton-Le Havre-New York service, plus cruises. 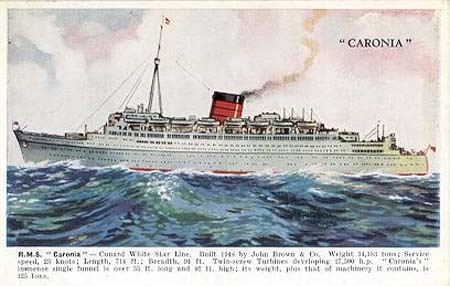 A Cunard Line official card of Caronia (serial number B.1819). 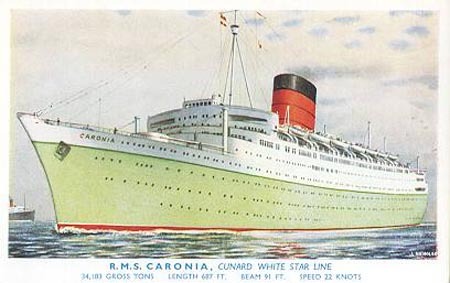 A Cunard Line official card of Caronia (serial number B.139). 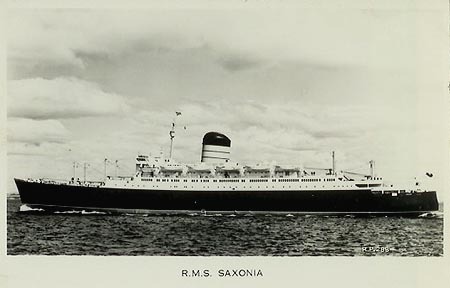 A J.Salmon postcard (serial 5194) of Caronia. 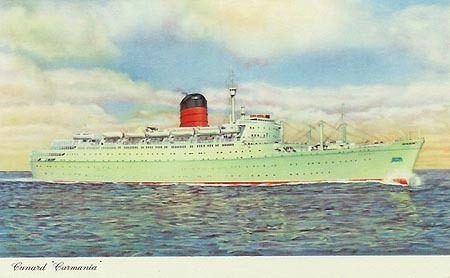 A Valentines postcard (serial 1793) of Caronia. 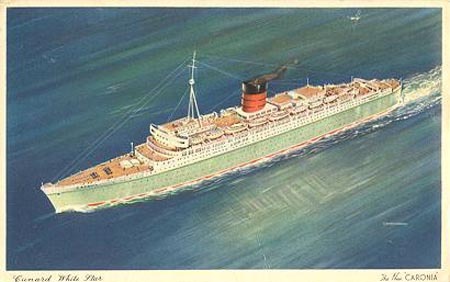 A J.Arthur Dixon postcard (serial SS.1145) of Caronia. A Mirro-Krome postcard (by S.Crocker, San Francisco, serial FF-127) of Caronia leaving Miraflores Locks, Panama Canal. 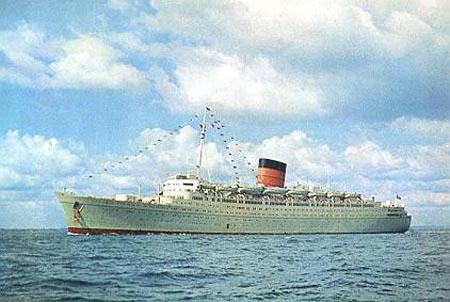 A Galachrome postcard (no serial number) of Caronia. 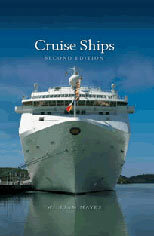 1: Rotterdam-Southampton-Cobh-Quebec-Montreal service, 2: New York-Bermuda (summer). 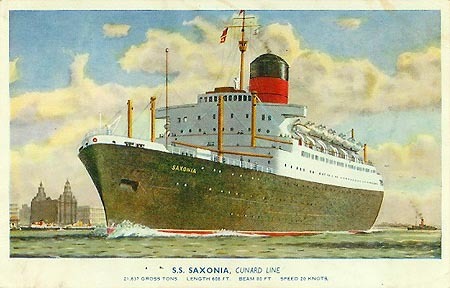 Cunard Line official card of Saxonia. Valentines postcard RP.288 of Saxonia. Salmon postcard 5338 of Saxonia. 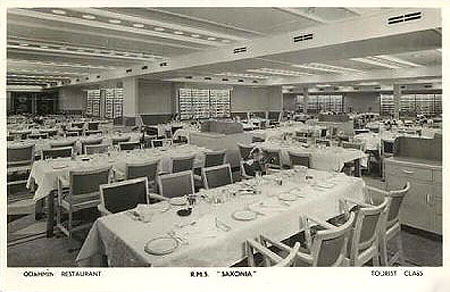 Cunard Line official card of the tourist class restaurant on Saxonia. An "After the Battle" postcard of Carmania (ex-Saxonia) (serial number P133). 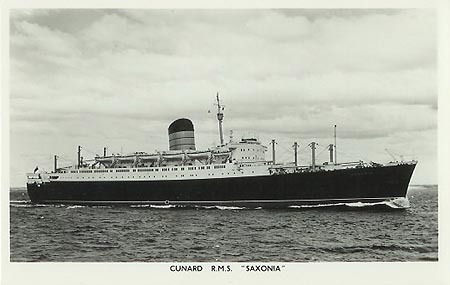 A Cunard Line official card of Carmania (ex-Saxonia) (serial number B.1992). A Cunard Line official card (serial number B.2055) of Carmania (ex-Saxonia). This card was also issued as Franconia (ex-Ivernia). 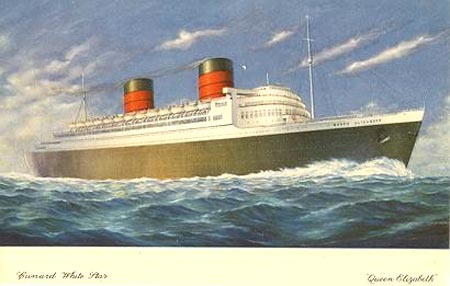 Cunard Line official card of Ivernia. Photo Precision postcard S20613 of Ivernia. Judges postcard 28302 of Ivernia. 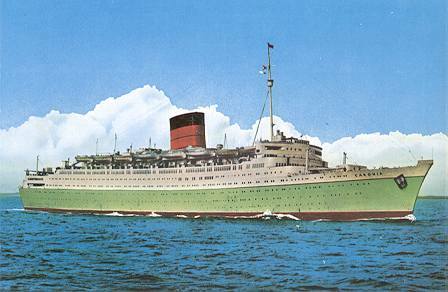 A Cunard Line official card of Franconia (ex-Ivernia). This card was also issued as Carmania (ex-Saxonia). 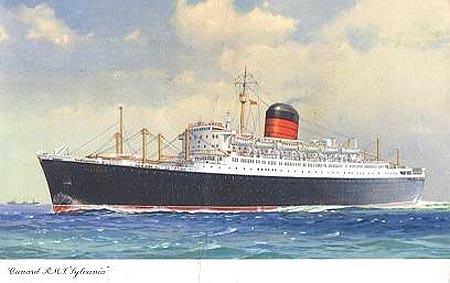 A Cunard Line official letter card of Franconia (ex-Ivernia). 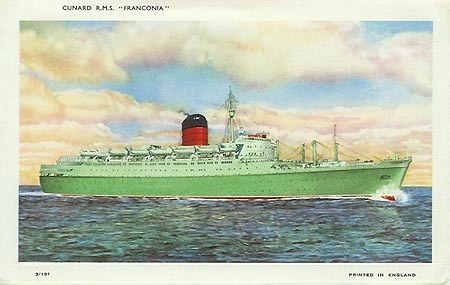 A J.Arthur Dixon official card (no serial number) of Franconia (ex-Ivernia), with later white hull. 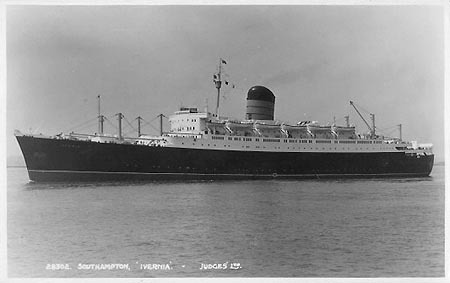 A less common J.Arthur Dixon official card (no serial number) of Franconia (ex-Ivernia), with later white hull. This is a traditional-sized card, smaller than the usual continental size used by Dixon. A CT Publishing card of Franconia (ex-Ivernia), with later white hull. 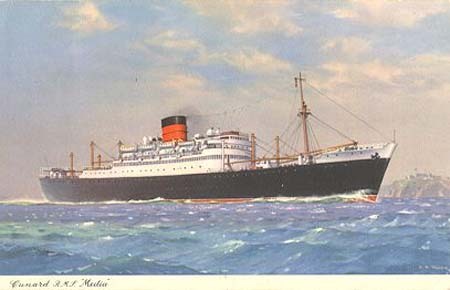 A Cunard Line official card of Carinthia. An "After the Battle" postcard of Carinthia (serial number P132). 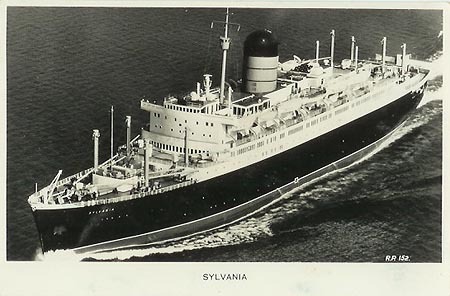 A Cunard Line official card of Sylvania. Valentine's postcard R.P.152 of Sylvania. 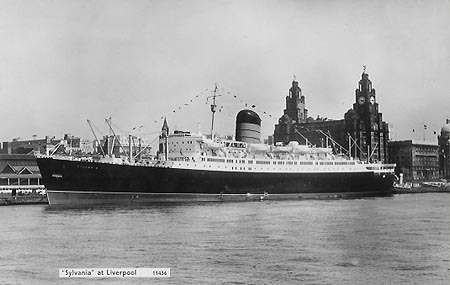 Photo Precision postcard 11436 of Sylvania at Liverpool. 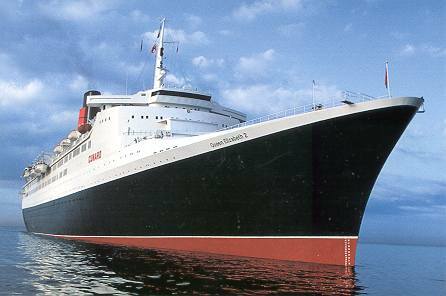 The Queen Elizabeth 2 was launched on 20th September 1967. 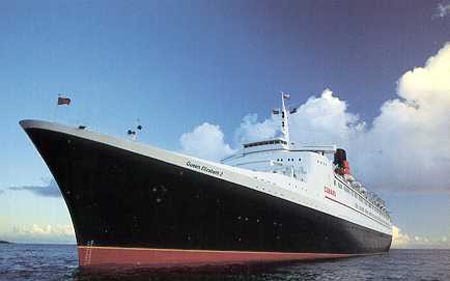 Following early problems and extended trials, she did not enter service until May 1969. This is a Harvey Barton card of the launch. 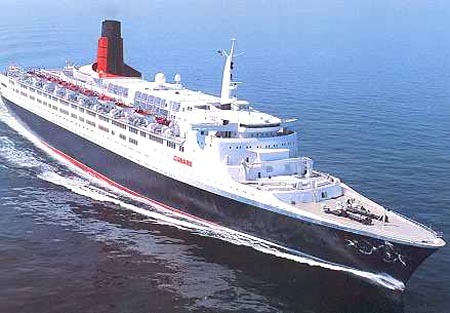 Artists impressions of the Queen Elizabeth 2 were released soon after her launch. This J.Arthur Dixon serial number SS.6921. 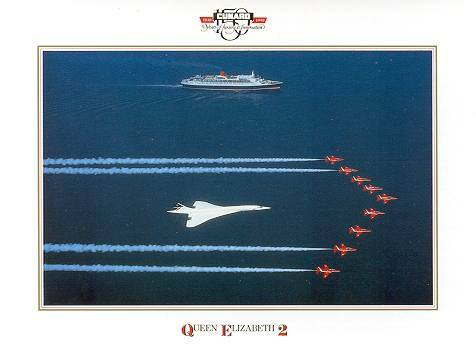 Official Cunard postcard of the Queen Elizabeth 2, with Concorde and the Red Arrows. 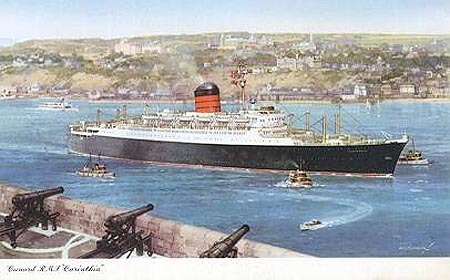 Official Cunard postcard of the Queen Elizabeth 2. 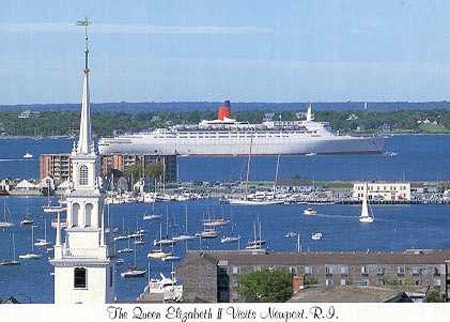 Postcard of the Queen Elizabeth 2 at Bar Harbor, Maine.